If there’s one thing mums in business struggle with most it’s time management. When you have so many demands on your time, only one of which is your business, you have to so disciplined when it comes to making the most of the time you have available. This is certainly an area I have struggled with, but I think I may have found a technique that works for me – the Pomodoro Technique. The Pomodoro Technique is a way to get the most out of time management, turn time into a valuable ally to accomplish what we want to do and chart continuous improvement in the way we do it. 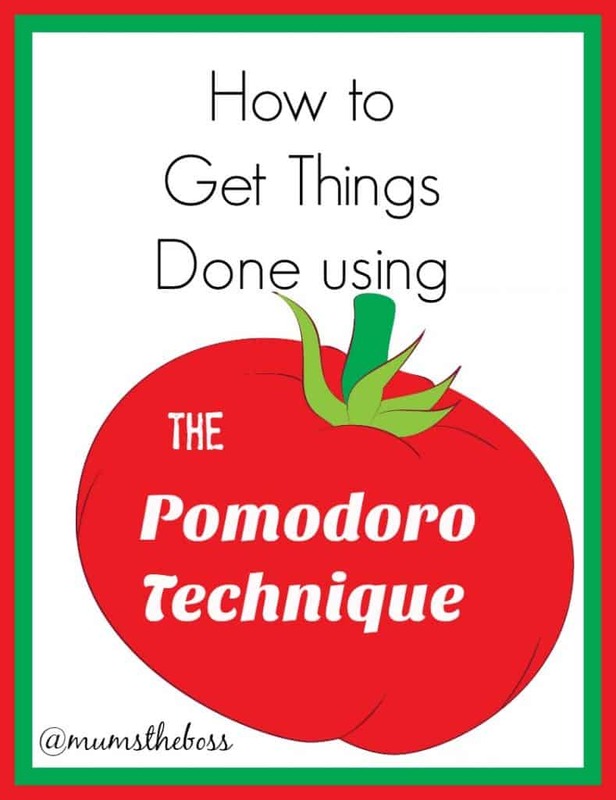 The Pomodoro website goes into much more detail, plus you can download the book from there for free, as well as other resources such as blank To Do lists and Activity Worksheets to help you stay super-organised. I’ve been trying this technique for a few days now, and all I can say is – boy, have I been more productive! I found working in 25 minute chunks of time very motivating – and found myself racing against the clock (competitive, moi?!). In addition, it made tackling a task I would normally put off less daunting – I only had to do it for 25 minutes and that seemed manageable. It has also helped me to achieve a better balance to my day between home and work tasks – just 2 x 25 minute slots of housework made a big difference and I was surprised at how much I could get done in the time! I reckon anything that helps you claw back a little bit of time from a busy day, and helps you make that time as productive as it can be, has got to be worth a try. And if you do give the Pomodoro Technique a try after reading this, then please do pop back and leave a comment to tell us how you found it – we’ve love to hear how you get on!